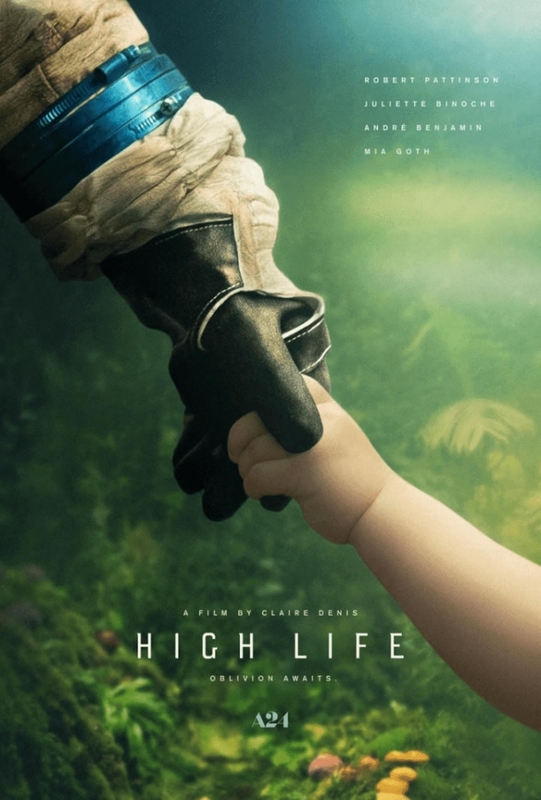 Official Trailer Arrives for Unsettling Space Thriller 'High Life' - Horror News Network - The Horror News You Need! To the delight of many space horror fans, A24 has revealed the official trailer for their upcoming film High Life. Directed by Claire Denis, the film stars Robert Pattinson, Andre Benjamin, Juliette Binoche, and Mia Goth. High Life follows a group of criminals who are tricked into believing they will be freed if they participate in a mission to travel on a spaceship towards a black hole to find an alternate energy source while being sexually experimented on by the scientists on board. Founded in 2012, A24 has released many quality genre films including Under the Skin, Ex Machina, The Witch, Green Room, It Comes at Night, The Killing of a Sacred Deer, and Hereditary. Back in November we reported that the company entered into an agreement with Apple to produce a slate of films. Have a look at the two-minute trailer below and stay tuned to Horror News Network for more on High Life. The Shocking Truth Behind 'Hereditary's' Low Cinemascore!